The School of Metallurgy and Materials and the University of Birmingham have recently joined the Faraday Institution Fast start project for Multiscale Modelling. This is a large multi-institutional collaborative project with nine university partners. The aim of the project is to advance current models and develop design tools which can accurately predict the performance and lifetime of existing and future batteries. This draws together the key modelling capabilities, supported through experimental parameterisation and experimental design protocols, of a multi-scale approach, across length and time scales. 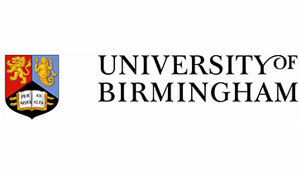 Researchers based at the University of Birmingham will be supporting the multi-scale modelling project with the parameterisation of the multi-length scale models over the life-time of a battery. This will involve the electrochemical, physical and chemical characterisation of the electrodes and cells at start of life and during the life-time. Working closely with the modelling groups at the Universities of Lancaster, Southampton, Imperial, UCL and Warwick and with other industrial and academic partners., they will work as part of a multidisciplinary research team to determine novel methodologies and populate the multi-physics models with meaningful experimentally derived parameters. The postholder will contribute to the development and optimisation of novel and existing characterisation methodologies to populate lithium ion battery models throughout different length scales. They will contribute to the development and optimisation of new physical separation routes to recover critical metals (such as lithium and cobalt) from lithium battery wastes as part of the R2LIB project, working as part of a multidisciplinary research team with the researchers at the University of Birmingham and with the other industrial and academic partners. This role will involve working within the MSM project and contribute to the co-ordination of the experimental teams; developing novel methodologies for chemical, physical and electrochemical analysis of lithium ion batteries and contributing to and leading the reporting requirements to the Lead Partner. They will analyse and interpret research findings and results, contribute to generating funding; and contribute to licensing or spin out deals with demonstrated commercial success (such as revenues, asset or company sales, IP generated) and public understanding.